It’s that time of year again when seniors and their caregivers must take action to prevent the flu. While flu season only lasts for a few months, the consequences can be dire if a senior falls ill with the virus. 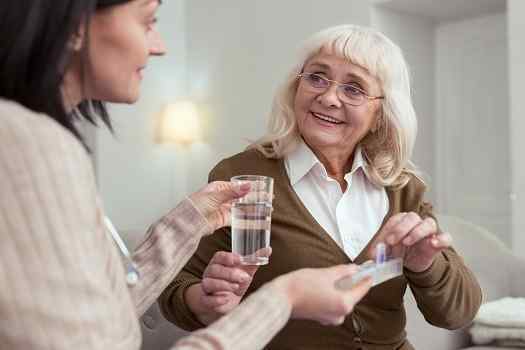 You can use the following strategies to help your aging loved one prepare for the upcoming flu season. Getting an annual flu shot is one of the most effective ways to avoid getting the flu. Today, there are several different types of flu vaccines seniors can use to stay healthy. However, it’s important for older adults to get the vaccination as early as possible. Make sure to schedule your parent’s flu vaccination before the season hits full swing, and make certain he or she has transportation to and from the appointment. In addition to vaccinations, proper handwashing goes a long way toward the prevention of many illnesses that circulate during the flu season. Help your loved one stock up on soap, and provide hand sanitizer to bring on outings. Remind your parent to wash his or her hands frequently when out in public. Exercise helps seniors boost their immune system, and your loved one should aim for at least 30 minutes of physical activity each day. However, the workouts shouldn’t be so exhausting that they leave your parent’s energy depleted. Instead, work with your loved one’s physician and physical therapists to develop an exercise routine that stimulates the immune system to fight off the flu. Older adults who need help exercising should consider professional in-home care. Green Valley senior care experts are available to provide high-quality care to seniors on an as-needed basis. From assistance with mobility and exercise to providing transportation to the doctor’s office and social events, there are a variety of ways professional caregivers can help your aging loved one continue to live independently. There are many areas in the home that commonly accumulate germs, yet they’re often skipped over during a normal housecleaning routine. For example, the knobs on appliances and cabinets in the kitchen are touched multiple times a day. Doorknobs, smartphones, and television remotes are a few more hot spots where germs are easily transferred. Even if your loved one lives alone, visitors to the house such as grandkids can leave behind germs. Ask your parent’s caregiver to wipe down these surfaces so they’re sanitized on a regular basis. In addition to exercising, eating healthy foods can boost the immune system. During the upcoming flu season, help your loved one plan a menu that includes foods that build immunity, such as citrus fruits. Then, encourage your parent to avoid too much sugar during the holidays since this could leave his or her body vulnerable to the flu virus. From exercising to preparing healthy meals, aging adults may require help with several daily tasks. Whether your elderly loved one needs part-time assistance with basic household chores or you need a break from your caregiving duties, the Green Valley respite care experts at Home Care Assistance are here to help. All of our respite care services are backed with a 100% satisfaction guarantee, there are no hidden fees in our contracts, and we never ask our clients to sign long-term contracts. To learn about our high-quality in-home care plans, give us a call at 520-625-2050 today.